He was known as Mr. Tri-Cities, Mr. Sam, the Man from Hanford, the Godfather, and, occasionally, by far less flattering terms. 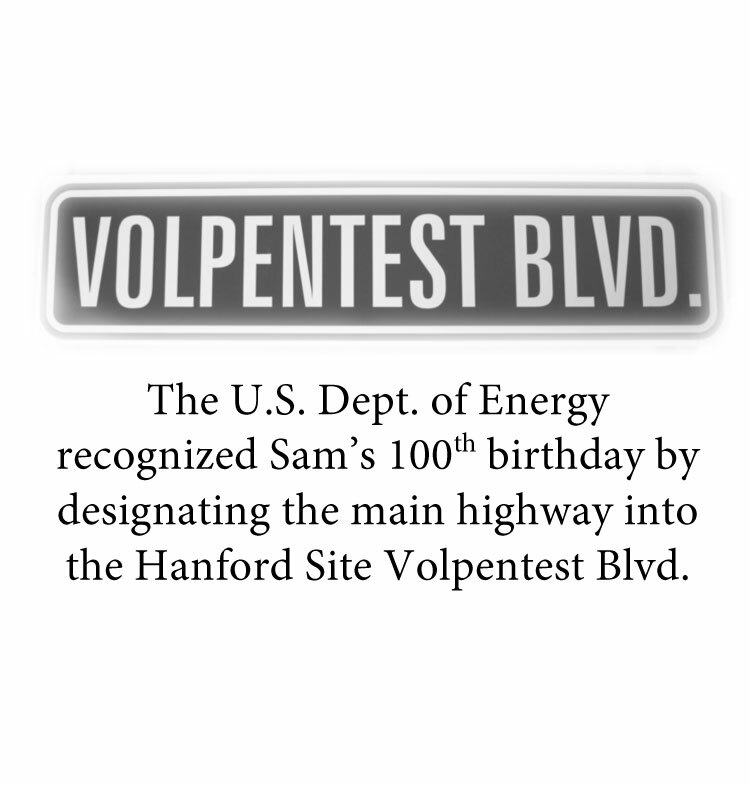 For more than 60 years, just about everyone at Hanford and in the Tri-Cities knew who Sam Volpentest was, even if they didn’t fully understand the ways in which he was shaping their future. 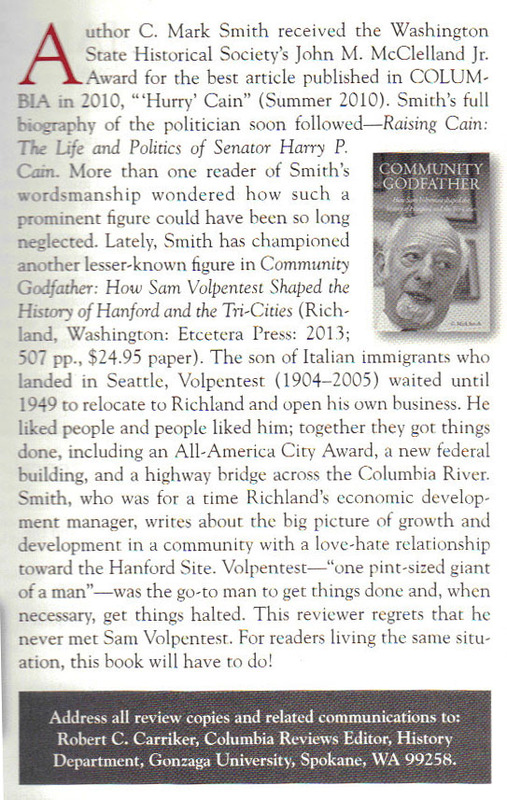 In Community Godfather: How Sam Volpentest Shaped the History of Hanford and the Tri-Cities, they find out. C. Mark Smith traces the life of this remarkable man who was born in 1904, grew up in poverty, began work when he was 10, became one of Seattle’s first Eagle Scouts, led a radio dance band, spent two decades selling wholesale groceries during the 1920s and the Great Depression, and became the lifelong friend of some of Washington state’s most powerful politicians. In 1949, he moved to the Tri-Cities to benefit from the growth of the Hanford Engineering Works which produced plutonium for the atomic bomb. He became a successful businessman but was stricken with cancer in 1957 and given only a month to live. 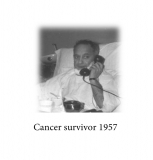 He survived, sold his businesses, and dedicated the rest of his life to community service. 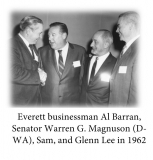 He used his political associations to funnel billions of dollars into Hanford and the Tri-Cities over the next 48 years. 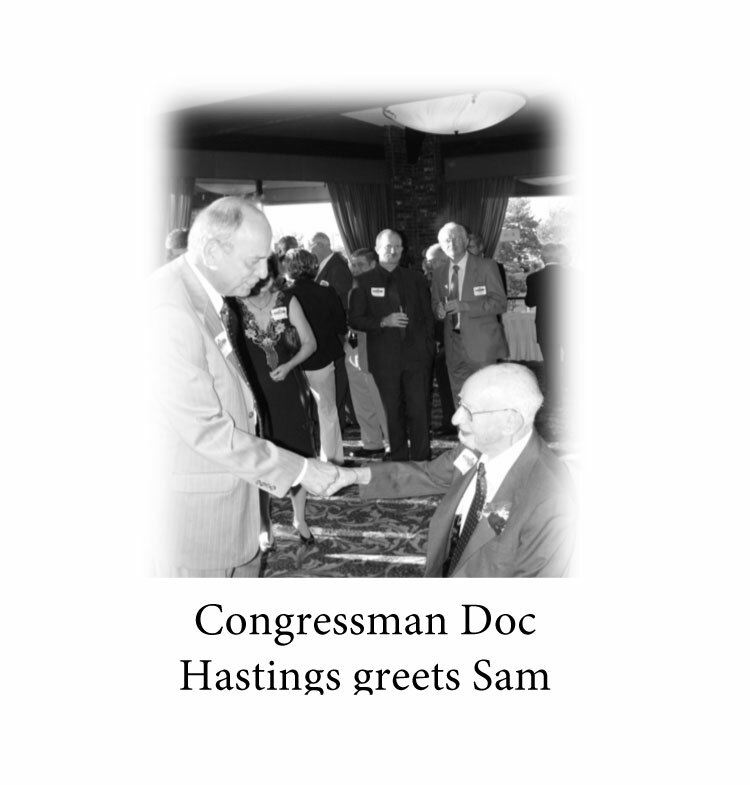 Along the way, he co-founded one of the most effective local economic development organizations in the Pacific Northwest. He was still working those relationships and shaping the future of his community when he died at the age of 101 in 2005. At a time when many communities seek effective leaders, Sam Volpentest’s story is a shining example of how one person—perhaps any of us—can shape the future of their community. Audiences/Markets Volpentest, Sam, 1904-2005 – biography; Legislators – United States – biography; Washington (State) – Politics and government – 20th century; Seattle (Wash.) – History; Tri-Cities (Wash) – History; Nuclear facilities – Waste Disposal – Washington (State) – Hanford Site (Wash). COMMUNITY GODFATHER: How Sam Volpentest shaped the history of Hanford and the Tri-Cities tells the story of Sam Volpentest, born into poverty to Italian immigrant parents, and how he became the friend and partner of some of ht emost important politicians of the late twentieth century. 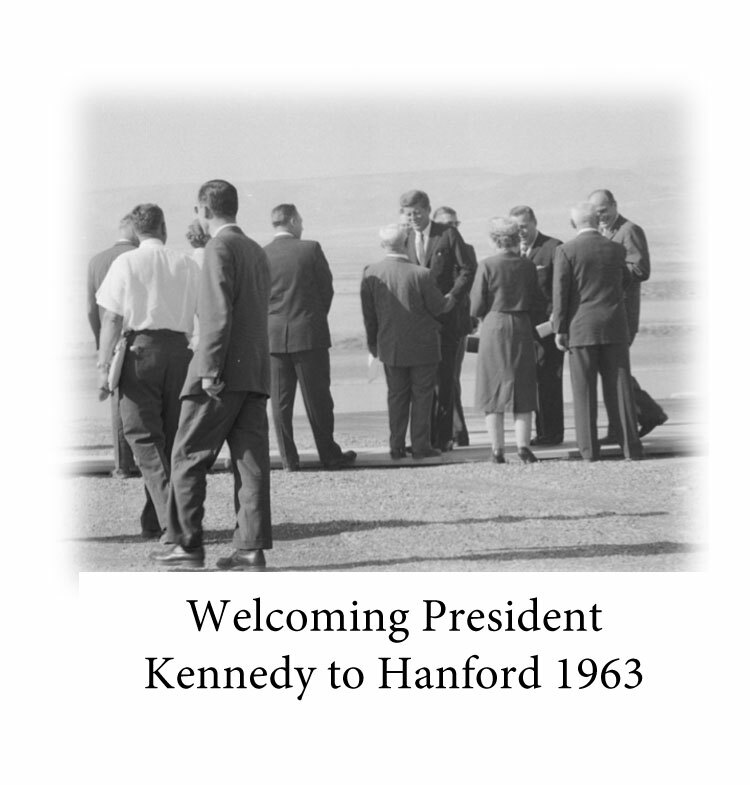 In the process, he helped to save the Tri-Cities from economic oblivion and found the federal money necessary to fund Hanford projects and the necessary community infrastructure that turned the Tri-Cities into one of the most vibrant economies in the State of Washington. 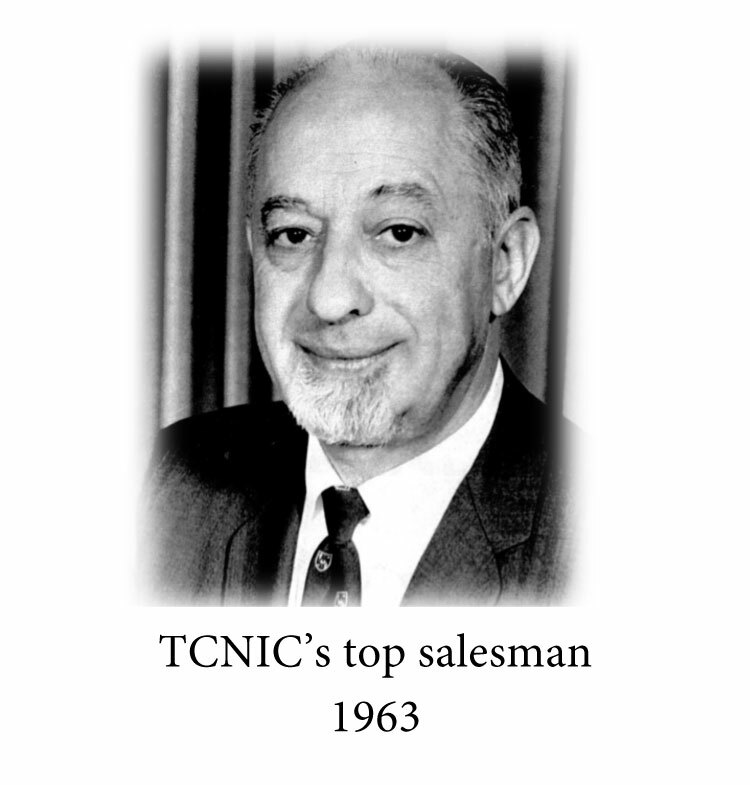 In the meantime, he created a powerful economic development organization and proved, once again, that once person can really make a difference. 1. What led you to write Community Godfather? Throughout my forty-year career of managing and consulting with local economic development organizations, I was always fascinated by how each new community I worked with addressed their unique problems. 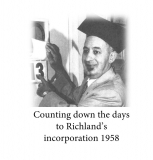 Not surprisingly, when I became the City of Richland’s economic development manager in 2000, I became interested in the history of Richland and the Tri-Cities and its own very unique history and love-hate relationship with the nearby Hanford Engineer Works where the plutonium for the Nagasaki atomic bomb had been produced. 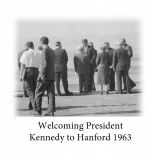 Its history of government paternalism, of the economic booms and busts resulting from the community’s dependence on Hanford, and the thirty year struggle to save, and then to diversify the local economy were unique by any standard I had ever come across. At the forefront of these efforts were some enterprising and unusual local businessmen. 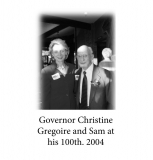 Faced with the loss of everything he had worked so hard to build, Sam used his political contacts, his sales skills, and his persistence and tenacity to save and build his community. 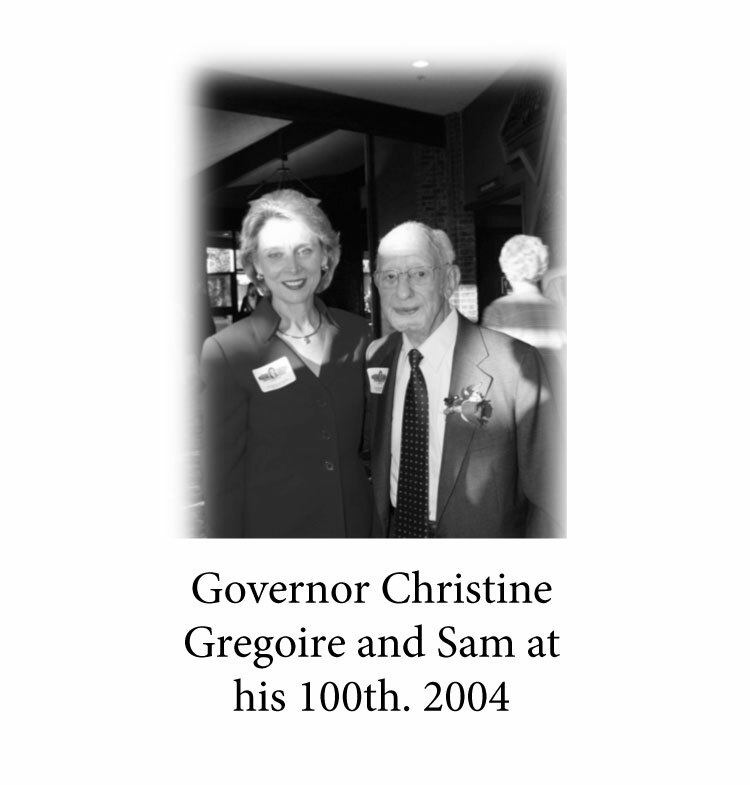 He was an excellent example of my theory that communities grow and succeed primarily because of a serendipitous union of good timing, strong leadership, and vision. As far as the Tri-Cities were concerned, Sam Volpentest was the right person, at the right place, at the right time. 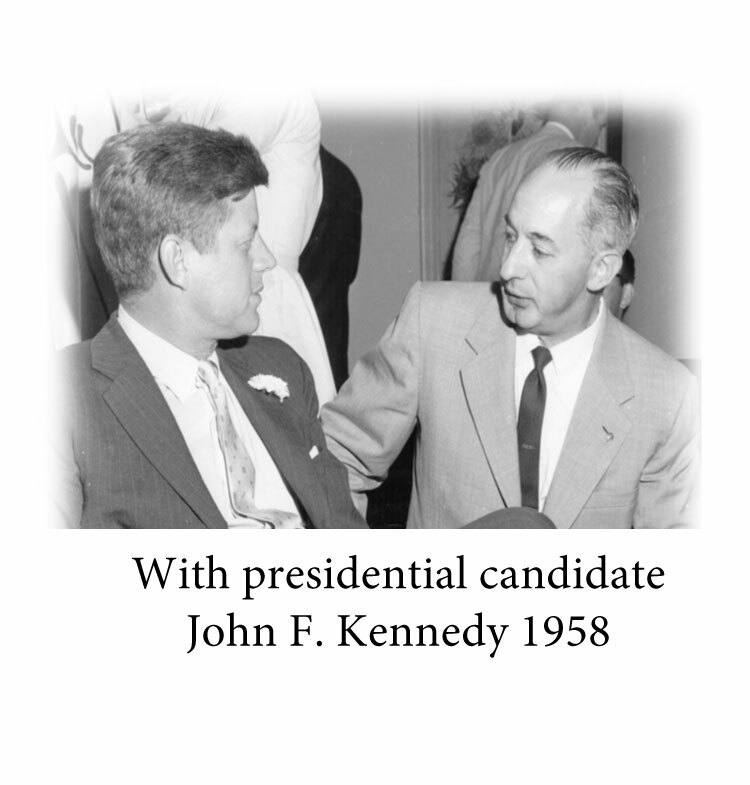 His story combines the elements of my greatest interests: biography, history, the political process, and economic development. 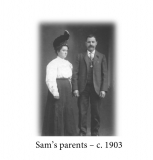 2. Who was Sam Volpentest? 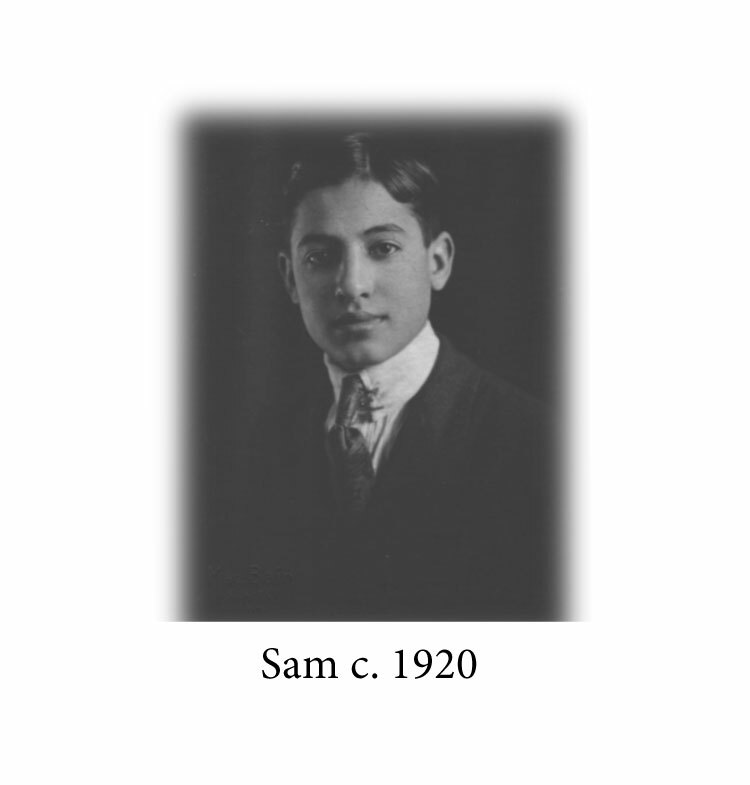 Sam Volpentest (born Sam Volpentesta in 1904) was the son of Italian immigrants who landed in Seattle before the turn of the century. His father was a boot black; his mother a laundry worker and midwife. He went to work at ten to support his family and had a full time job by 17. 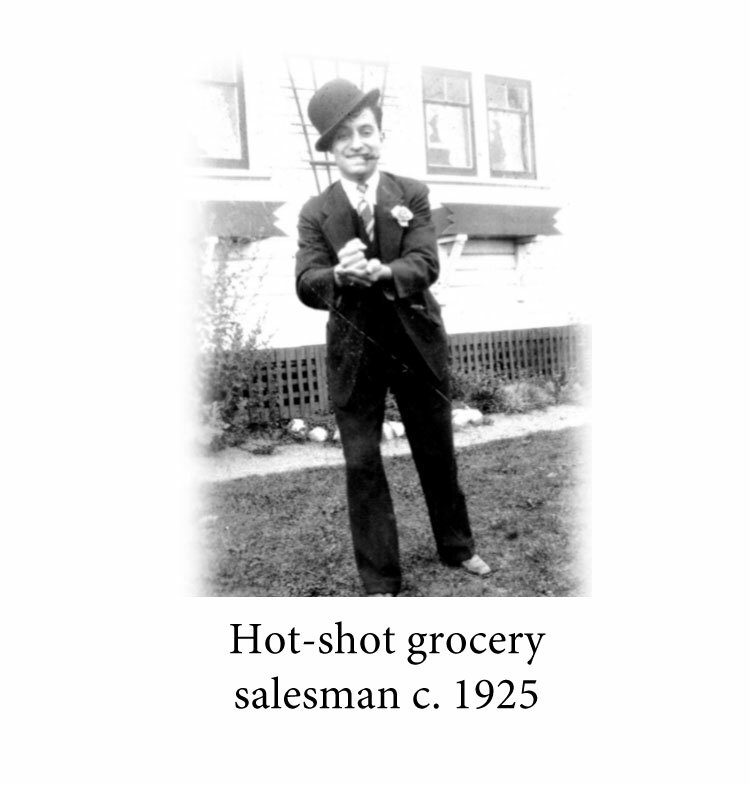 He worked as a salesman for the same wholesale grocery company for 23 years. 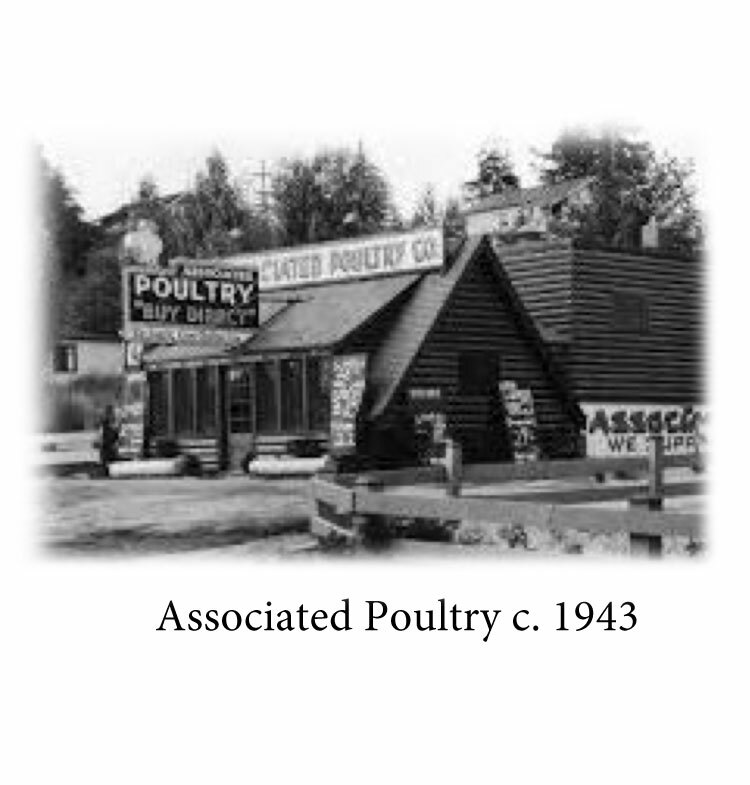 In search of a better life, he moved to the government town of Richland, Washington in 1949 to open a tavern. His hard work and the newness of his adopted community brought him financial success. 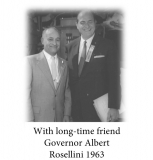 His persistence, salesmanship, and political contacts, marked him as someone who could get things done. 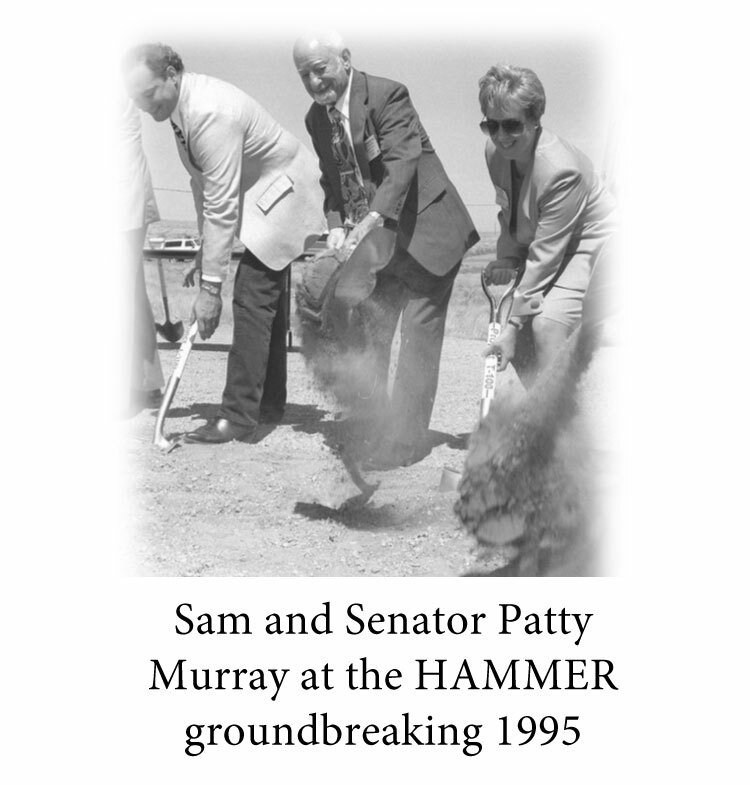 Starting with an All-America City award, a new federal building and the building of a new highway and bridge across the Columbia River by the time he was 63, he was the man who could find the money to fund countless Hanford and community projects over the next 45 years. In the process, he helped to create the community economic development, tourism, and education and training facilities that still carry on his work. He died in 2005 at the age of 101, working every day almost to the end of his life. 3. What challenges did you face in writing Community Godfather? Sam Volpentest’s generation is gone. The generation that followed him will soon be gone. 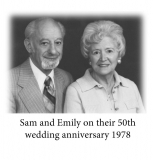 If Sam’s story was going to be told by those who knew him, it would have to be done soon. While numerous books and magazine articles have been written about the history of the Manhattan Project and the evolution of the Hanford Site, few have explored the complicated interrelationships between Hanford and its nearby communities. While Sam made an appearance in many of these books, he is not their primary focus. I decided that he deserved to be the subject of a book of his own. 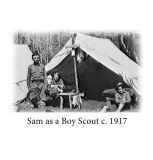 In it, I have blended second-hand news accounts with the first-hand memories of those who knew, worked, and fought with Sam. I have personally interviewed more than sixty of them. Forty more have sent me their memories and comments by email. Together, these first-hand sources allowed me to present Sam Volpentest—in all his endless complexities—in a way that would have been impossible if I had been forced to rely only on contemporary newspaper accounts. 4. 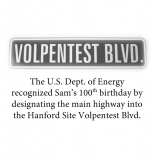 Did you know Sam Volpentest? Yes. 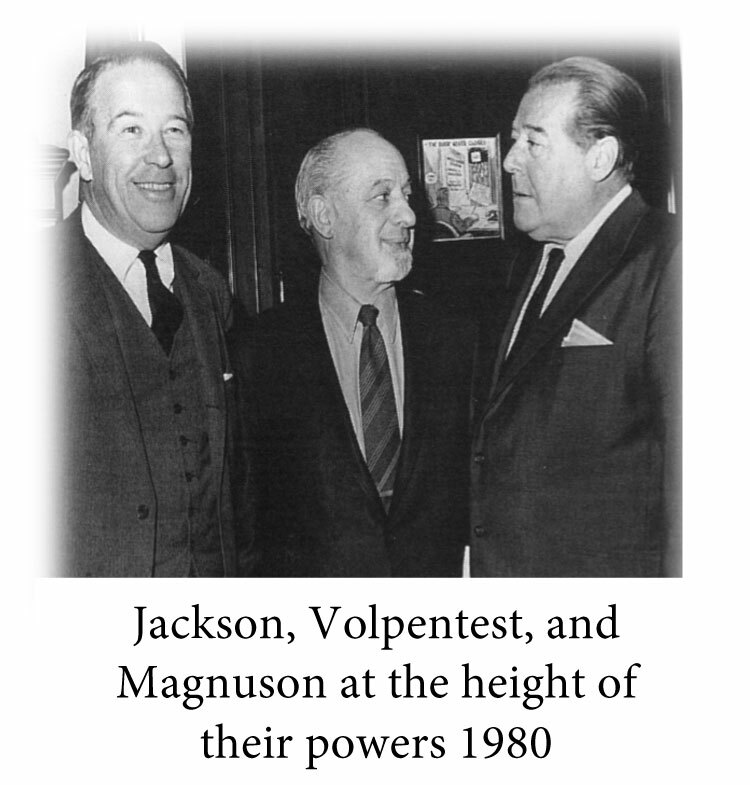 I first met Sam Volpentest in late 1970. 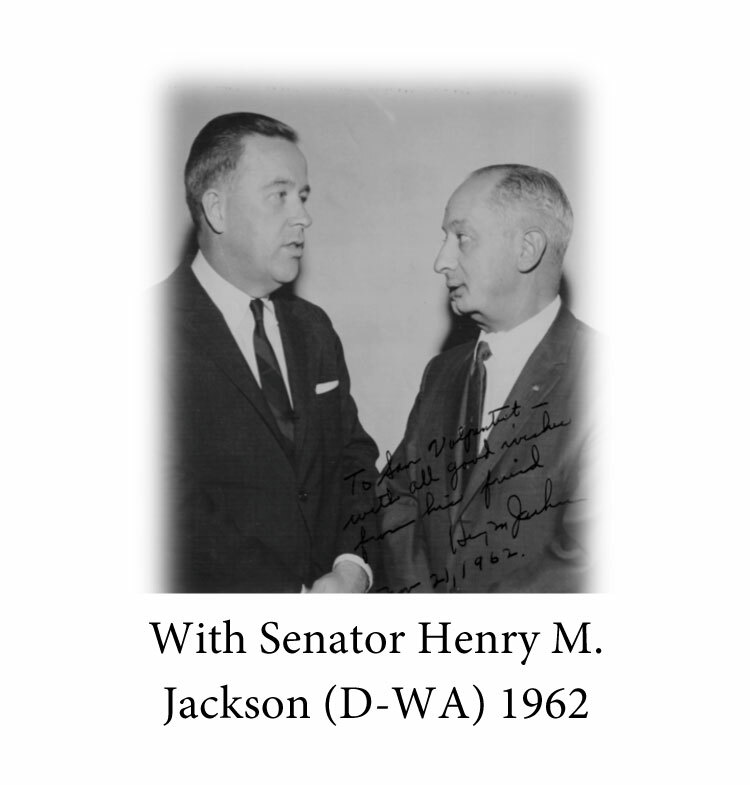 I was serving as the regional director for the federal Economic Development Administration (EDA), a part of the Commerce Department, which served the eight Western states from its offices on Lake Union in Seattle. I was thirty-four and had no previous government experience. One morning, I had just arrived at work when my secretary came in with the day’s schedule. The first item on it, at 9:00 a.m., was a meeting with Sam Volpentest. “Who’s Sam Volpentest?” I asked. At the appointed time, a very small, and I thought very old, man was ushered into my office. With his small size and white goatee he looked like a cross between an Irish leprechaun and a Jewish rabbi. 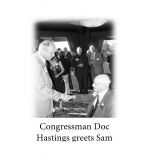 We exchanged pleasantries for a few minutes and then he pulled a small piece of paper from his pocket on which he had written a list of projects he thought that EDA would like to fund in the Tri-Cities. He made a short, cogent presentation of each; I nodded and smiled a bit, and we shook hands as he left. I had a satisfied feeling that I had dodged a bullet by not committing to anything. In about twenty minutes my telephone rang. 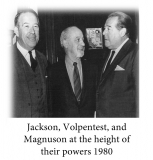 It was my secretary with the surprising news that Senator Magnuson was on the telephone—himself. 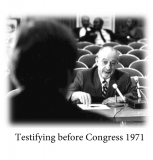 I picked up the receiver, said “Good morning, senator, what can I do for you?” in as pleasant a tone as my shock would allow, while I waited for the next shoe to drop. It didn’t take long. “I understand that Sam Volpentest was just in to see you,” he said. 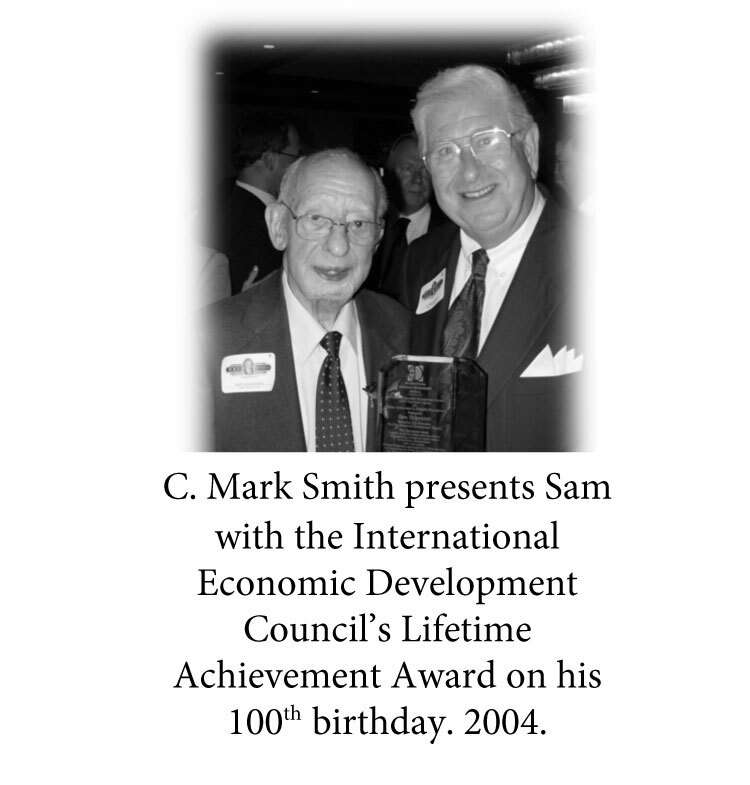 Nearly thirty-five years later, on the occasion of Sam’s 100th birthday party in 2004, I had the honor of presenting him with the International Economic Development Council’s 2004 Chairman’s Award for Lifetime Achievement in Economic Development, an honor he had certainly earned. 5. What kind of audiences will be interested in Community Godfather? 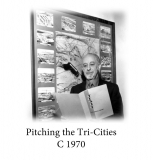 While the geographic focus of the book is limited to Seattle, the Tri-Cities, and Washington, D.C., I think subject matter should appeal to several audiences. 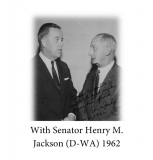 People who are interested in Pacific Northwest history, particularly Seattle, the Tri-Cities, and Hanford; people who are interested in those who have represented Washington and the Tri-Cities in Congress in the late twentieth century; those who are interested in the political process or just a good story; and, finally, those who are interested in what makes community and economic development work. 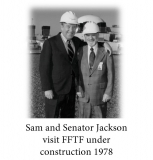 The book is also a good case study of TRIDEC, the Tri-Cities Economic Development Council and its predecessor, the Tri-Cities Nuclear Industrial Council (TCNIC) which Sam helped to found. 5. How did you do your research for Community Godfather? 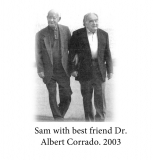 Much of the material I used in my research came from those closely associated with Sam. 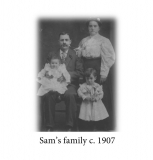 His children, William (Bill) Volpentest, Jane C. Volpentest, and Sam R. Volpentest, permitted me to interview them in person or by email multiple times. 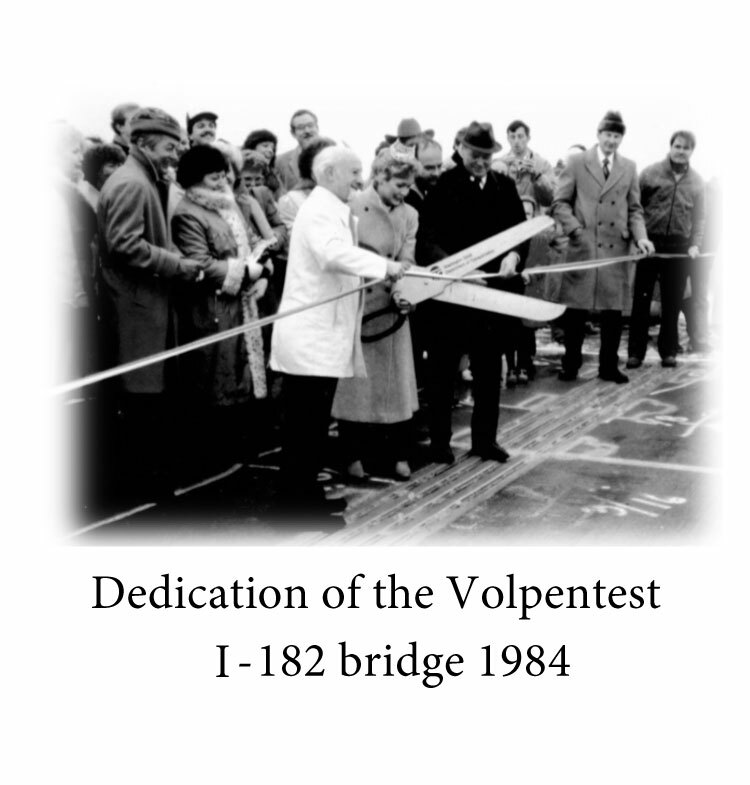 My job was made much easier because Bill Volpentest compiled an extensive family’s genealogy in the 1980s and was the central collection point for family history and pictures. 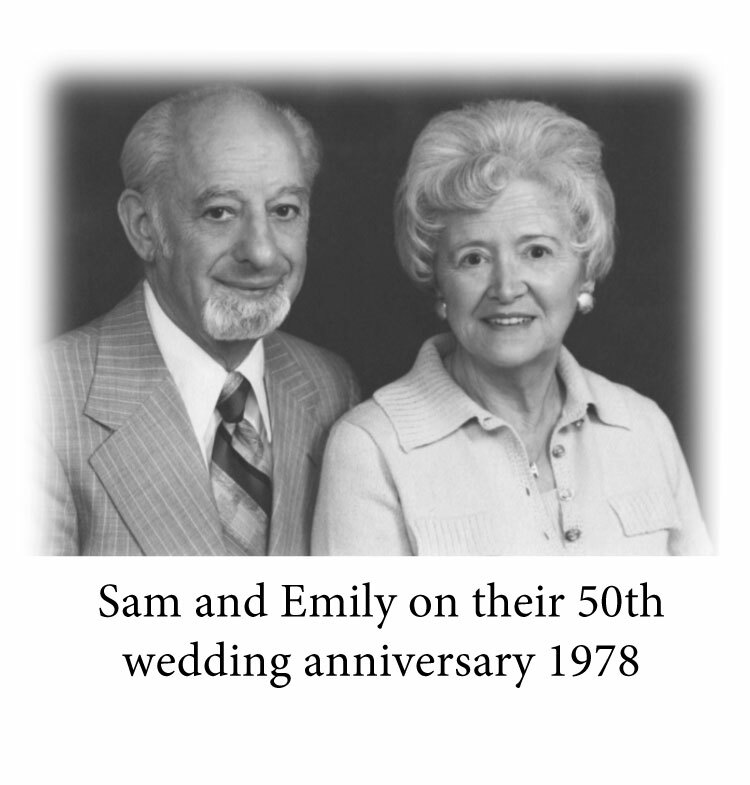 Sam Jr. and his wife, Mary, provided me with numerous files of clippings, letters, pictures, and other ephemera from his father’s long life. Others, including Robert Ferguson, Sue Olson, and Mike Schwenk, provided me with additional material. 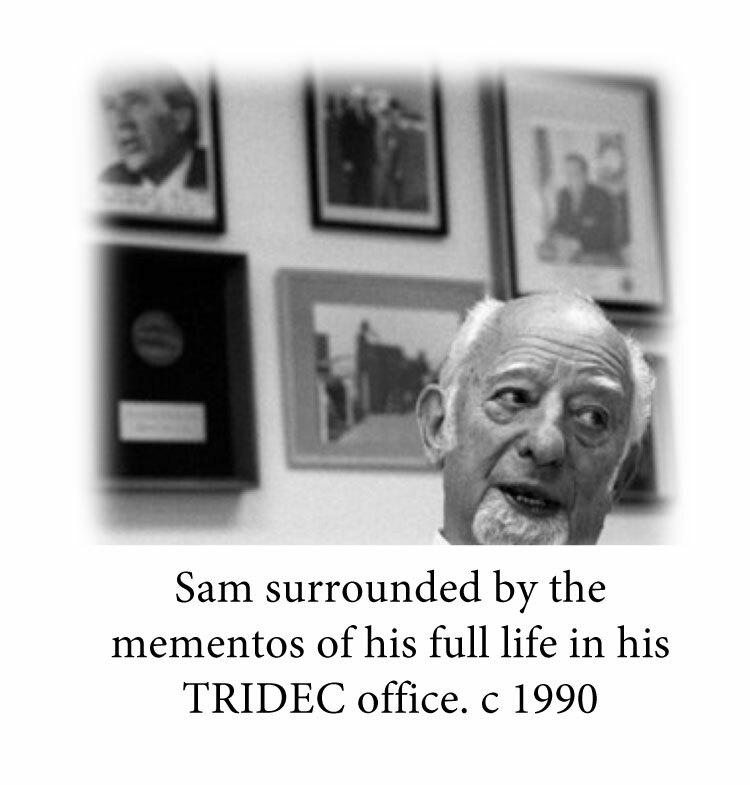 The Tri-City Economic Development Council (TRIDEC) let me access two file boxes of papers, neatly arranged in subject folders that had been taken from Sam’s office after his death. The Columbia River Museum of History Science and Technology (CREHST) let me look at eight boxes of pictures, plaques, awards and other mementoes that covered the walls of Sam’s TRIDEC office. 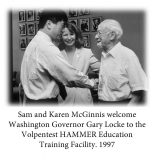 The Volpentest HAMMER Education and Training Facility made available to me their seemingly inexhaustible collection of videotapes covering any HAMMER event at which Sam was present. 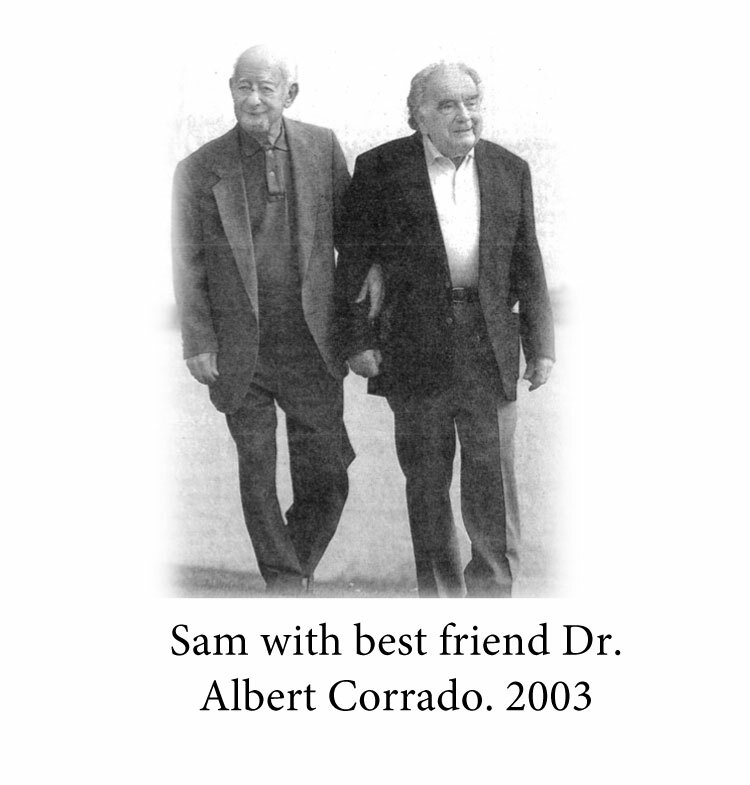 Fortunately, I have been able to blend these second-hand news accounts with the first-hand memories of those who knew, worked, and fought with Sam. 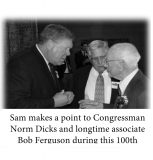 I have personally interviewed more than sixty individuals who supported, worked, or fought with Sam. Forty more have sent me their memories and comments by email. Together, these first-hand sources allowed me to present Sam Volpentest—in all his endless complexities—in a way that would have been impossible if I had been forced to rely only on contemporary newspaper accounts. 6. What do you hope to accomplish by publishing this book? In the first place, Sam Volpentest led a tremendously interesting life. His story should be equally interesting to a wide variety of readers. 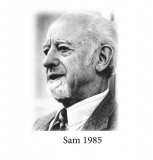 Second, Sam lived and worked in times that would be almost impossible to replicate today, and yet, his story leaves us with certain lessons that are just as applicable today as they were in Sam’s day. He taught us the value of personal relationships, of never giving up, and that persistence pays off. He also taught us that any person who cares enough, and works hard enough, can be a leader—and make a real difference to the future of their community. 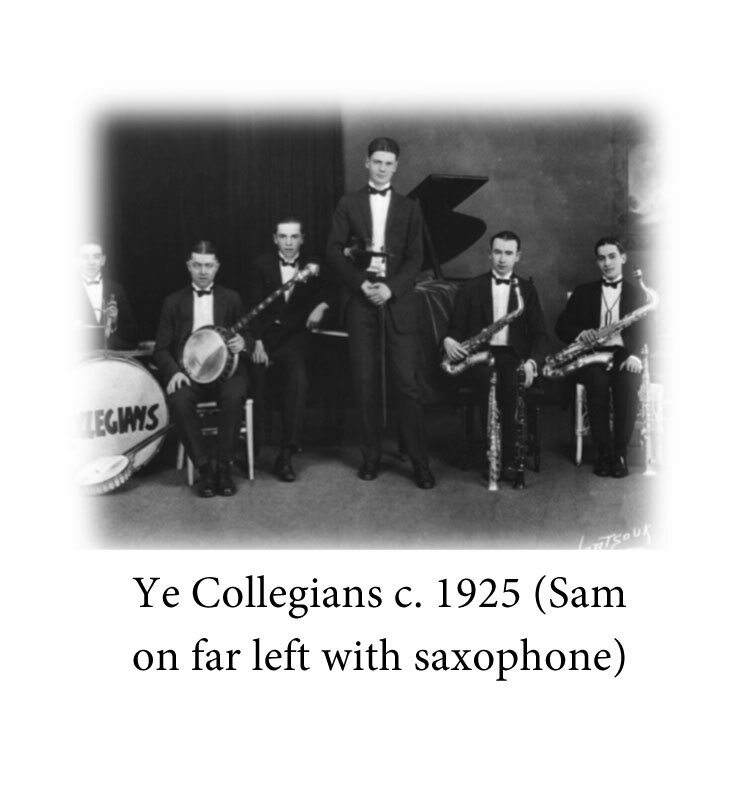 Over the course of his long life, Sam Volpentest was called many things: “Mr. Tri-Cities,” “Mr. 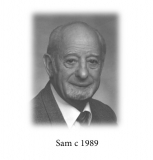 Sam,” or “The Man from Hanford,” and, occasionally, by far less flattering terms. 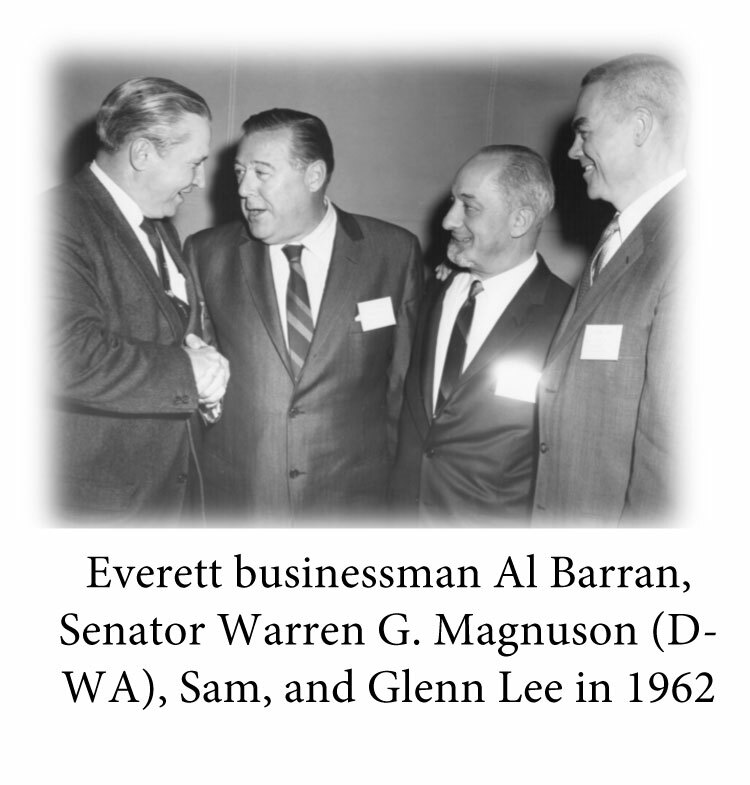 Washington’s powerful senior senator, Warren Magnuson—Sam’s longtime friend since the early 1930s—struggled to pronounce his last name and invariably referred to him as “My friend Sam” or “The Champ.” California Congressman Chet Holifield (D—CA), the longtime chairman of the Joint Committee on Atomic Energy, nicknamed him “Spunky.” Others, in both Washingtons, called him “the Godfather of the Tri-Cities.” The reference was a double-entendre, reflecting both the classic definition of an individual who is the equivalent of a benevolent baptismal sponsor, and of the Italian heritage of which he was so proud. 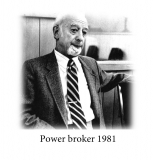 He was an unlikely community godfather. It was not because he lacked maturity, or natural intelligence, or energy and persistence, or a deep affection for the community he sought to help. He possessed each of those in abundance. What he lacked was the formal education, the family connections, and the accumulated wealth that are normally associated with those we choose to be our leaders. 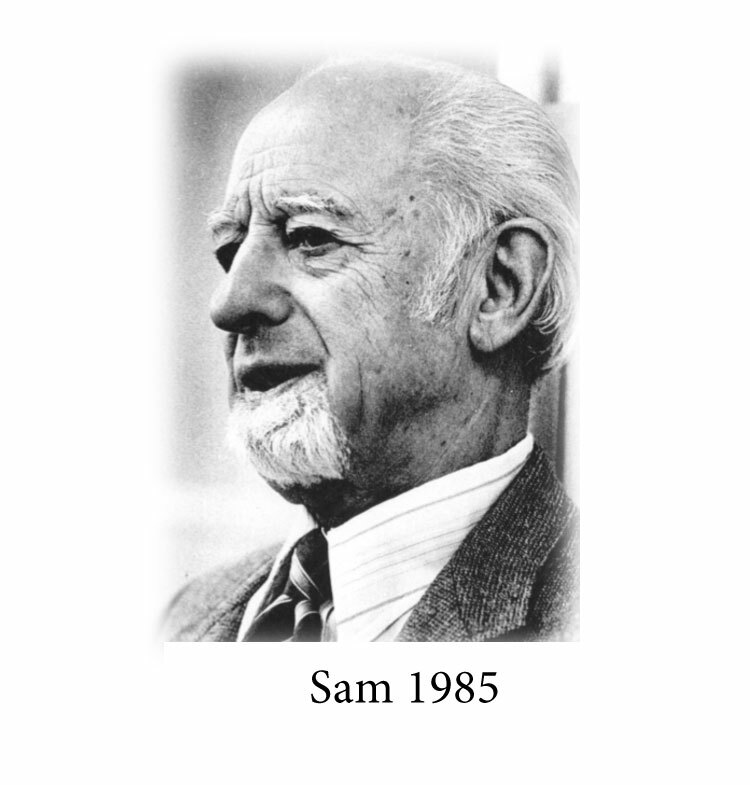 Sam was fond of saying he had “experienced” every decade of the twentieth century. He experienced the first half of the following decade as well. 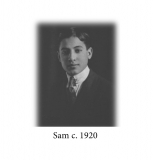 He was born Sam Volpentesta in Seattle on September 24, 1904, the first child of Italian immigrant parents who separately found their way to America from their southern Italian peasant villages in 1892. On the day Sam Volpentest was born, Theodore Roosevelt was President of the United States. The Russo-Japanese War had just begun. Albert Einstein was in the final stages of developing his Theory of Relativity, and Washington had been a state for slightly more than fifteen years. When he died on September 28, 2005—four days after his 101st birthday—George W. Bush occupied the White House, Americans had been to the moon and back several times and its astronauts were living on an international space station. Iraq had been occupied as a result of the First Gulf War, a decision that arguably changed the history of the Middle East and of America as well. 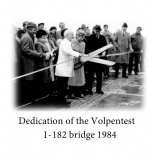 Sam Volpentest “experienced” the First World War, the Roaring Twenties, the Great Depression, the Second World War, Korea, Viet Nam, the Cold War, the collapse of the Soviet Union, 9/11, and the beginning of what has become a seemingly endless War on Terror. I had a hard time putting it down. It should be a great read for past and current Tri-City business and government leaders, and a must for those [who] aspire. We know that many communities can point to someone (maybe not quite like Sam) that shaped their future. 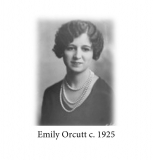 This is a great case study for those not quite as fortunate. 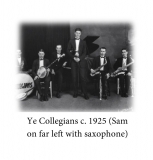 C. Mark Smith’s thoroughly researched book on Sam Volpentest does more than document how one pint-sized giant of a man with strong determination and powerful political connections could almost single-handedly prevent a large portion of Eastern Washington state from sliding into economic depression. 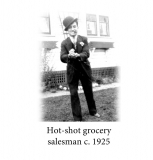 It deals with the politics and ethnicity of early twentieth-century Seattle, where Volpentest grew up. It documents with clarity the challenges faced by the Tri-City area in the early 1960s when the area’s economic lifeline of producing plutonium first to help with World War ll and then the Cold War was severed by the closure of the area’s nuclear reactors. 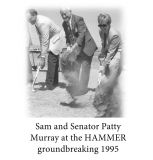 For the first time it documents the behind-the-scenes political maneuvering that used statewide connections and community togetherness to prevent what many feared – namely that the community would dry up and blow away. Smith has written a damn interesting book and done a first-rate investigative job. 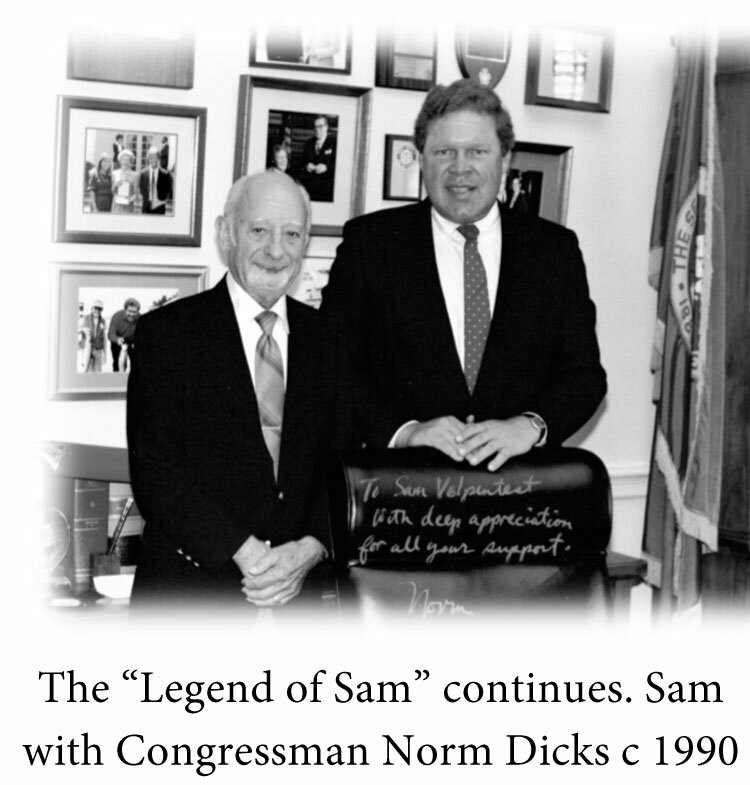 It will surprise even those who thought they knew what was going on as the Tri-Cities fought for life – a life and a future it owes in great part to Sam Volpentest, who died in 2005 at the age of 101. 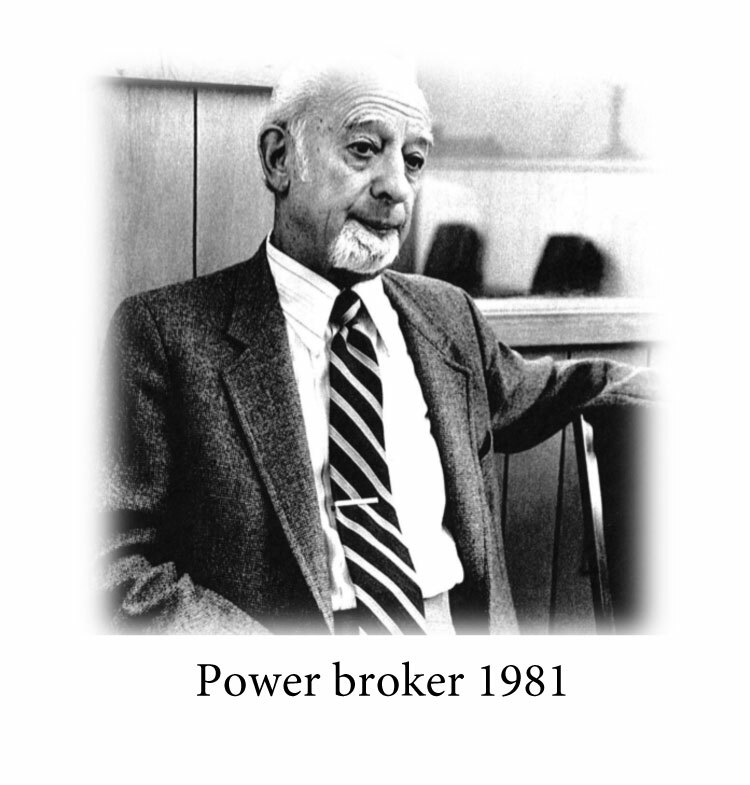 Community Godfather is the story of how one man, with fierce determination, boundless energy, and cultivated political connections shaped the future of a community. 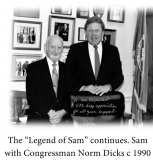 While many of us knew Sam, very few know the whole story of how he moved to the Tri-Cities and overcame tremendous obstacles to become a giant in community development and economic growth. 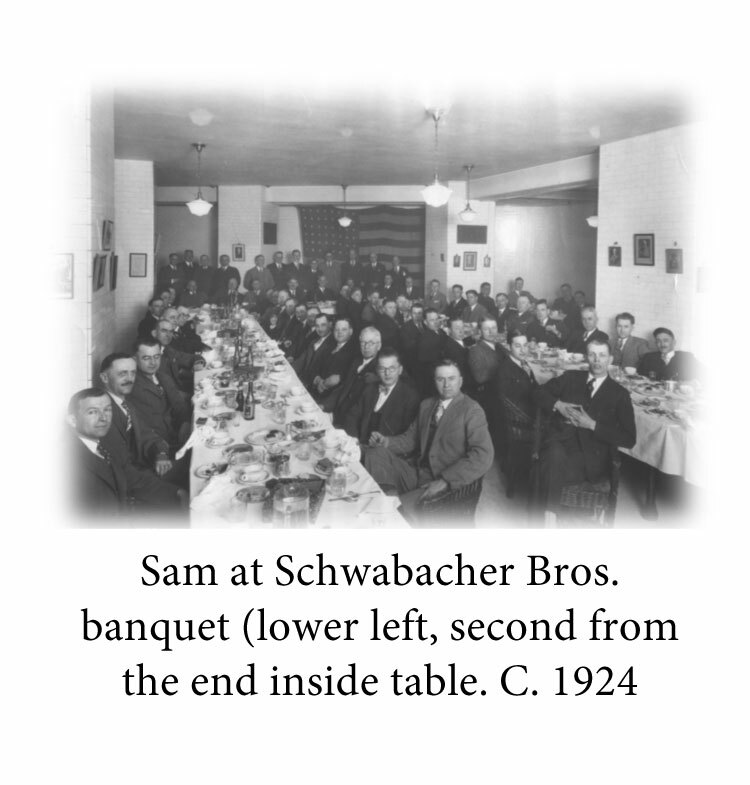 It was very revealing to read how Sam viewed interactions we had, and enlightening to gain the perspective of time and other participants. Smith has done a great service for all of us transplants to the Tri-Cities. Mark Smith has done an amazing job of weaving a factual and fascinating way through the life and times of Sam Volpentest. Sam was unique, and Mark paints that picture in full color. 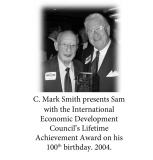 The people around Sam are a complex history, and the multi-faceted world in which he lived and operated gave Mark Smith the challenge of tying it all together. He does it very well, with humor, and accuracy. This is an exceptional book: exceptionally well written, exceptionally readable, and one that provides an exceptionally insightful picture of an exceptional yet quite ordinary small town American mover and shaker whose extraordinary accomplishments built his community and region. It reads like a novel but tells a fascinating, yet completely true story that will hold your attention on many levels and be hard to put down. For most, Sam Volpentest was just a name—one of those lofty figures operating in the realm of community “movers and shakers.” Yet for those of us who were fortunate enough to work with Sam, he was far more than that. C. Mark Smith has brought Sam to life, for all to know. His book is not just about the man or even his community. It is about the times, and Smith’s book shows how the latter shapes the former. How did Sam rise to power and influence? 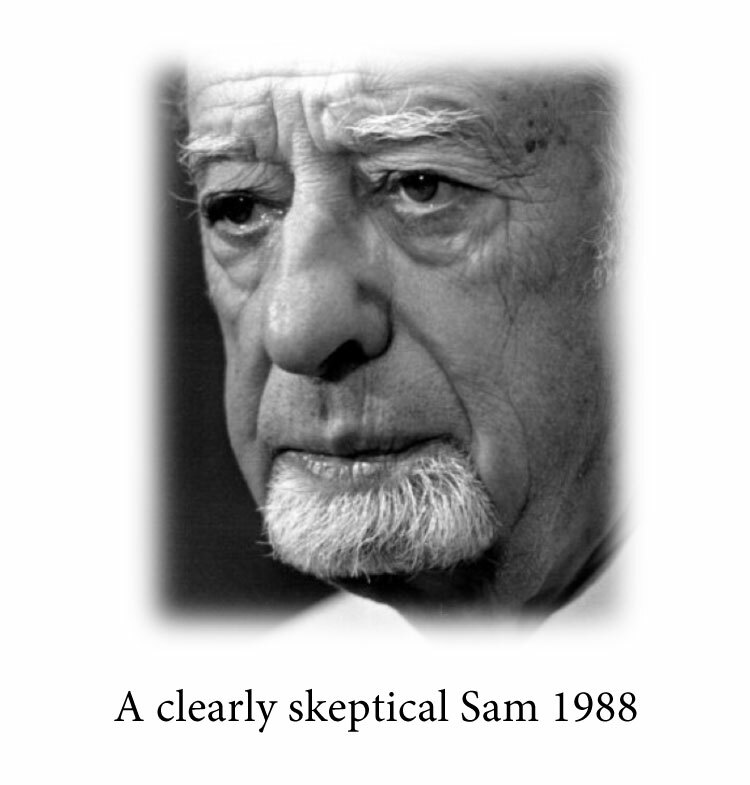 What stories about Sam are fact and which are myth? What role does did circumstance and context play in Sam’s many accomplishments? The answers are all in this remarkable book about the “Miracle in the Desert,” and the man who guided it every step of the way. I love this book. 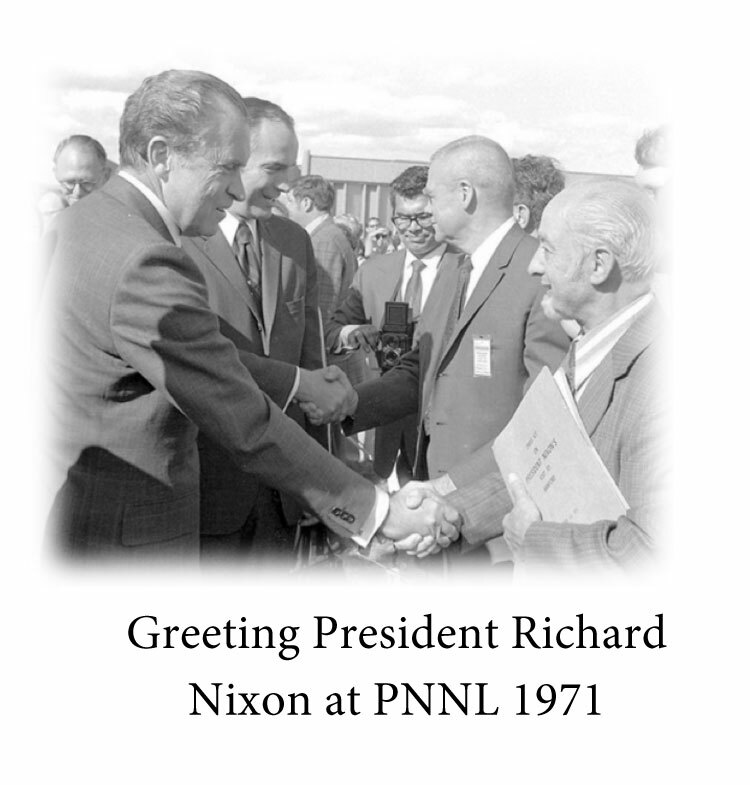 It explains how a very poor boy from Seattle could come to Richland, Washington that bordered the Hanford Site which contained eight active nuclear reactors and become the Tri-Cities Godfather. 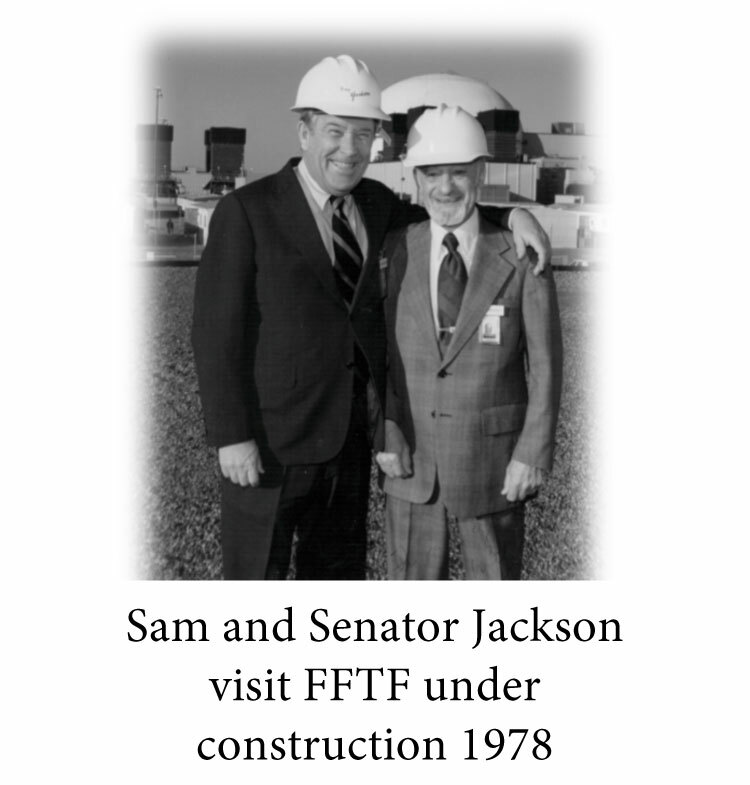 Sam Volpentest was instrumental in supporting new projects to replace the closed reactors and obtaining funding for these projects through his connections with Senators in Washington DC and Presidents of the United States. A great read. 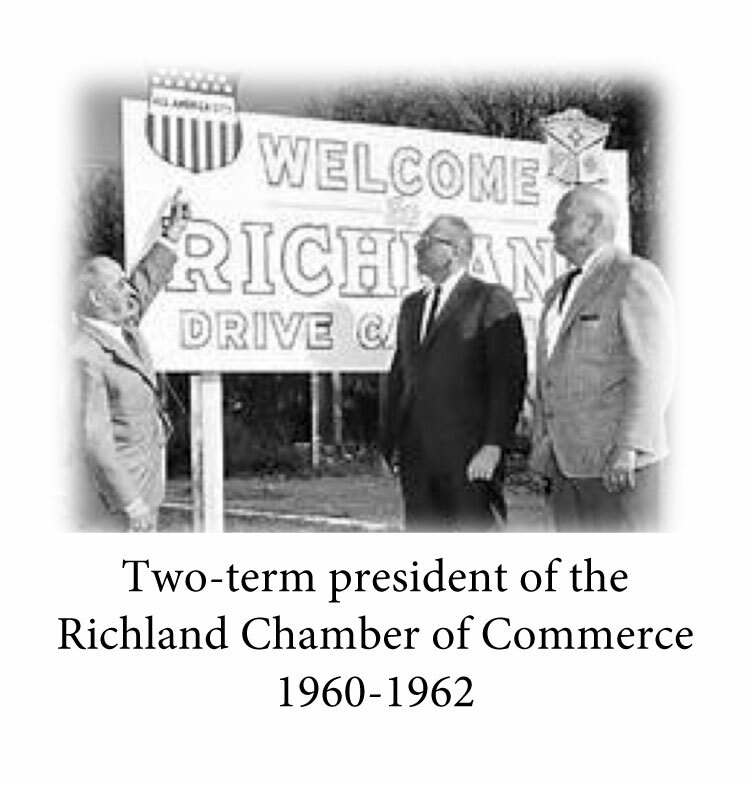 Director of Procurement and Contracting Officer, Department of Energy, Richland Operations Office. Retired.